Photo courtesy Brad Crowfoot Photography. The inaugural Indian National Finals Pow Wow was held in Las Vegas Nov 10-11, attracting participants from over 40 tribes across North America, including five members from Nekaneet First Nation of Maple Creek, Sask. Irene Oakes and her daughters, Laryn and Mallory Oakes, and Bradley and Terrance Goodwill finished ninth overall in the competitions. 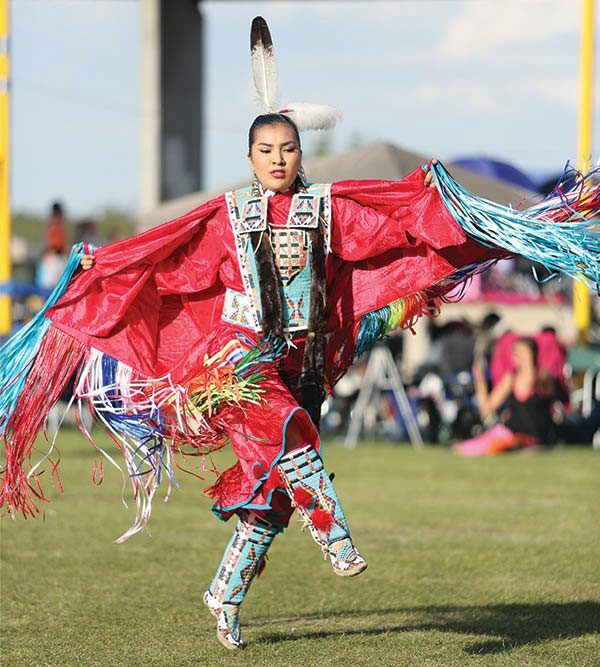 Laryn, who at 20 is an experienced dancer who has participated in many pow wows, was one of nine competitors who advanced to the finals where she was crowned the 2016 World Champion Women’s Fancy Dance. She was awarded a championship bracelet, leather jacket, and $5,000 in prize money.